The impetus behind the move is almost certainly to constrain Trump’s anticipated rapprochement with Russia by further tainting public perception of a U.S.-Russia reconciliation by intimating that Trump in some way won the U.S. presidency with the assistance of Russia — a continuation of a common theme of the Clinton campaign. It should be noted that Julian Assange himself said that the information released by WikiLeaks did not come from Russian sources. Many suspect that murdered DNC staffer Seth Rich was potentially behind the leaked information after WikiLeaks offered a reward of $20,000 for information leading to the arrest of Rich’s killer. WikiLeaks refused to confirm nor deny Rich as the source of the leaked emails. 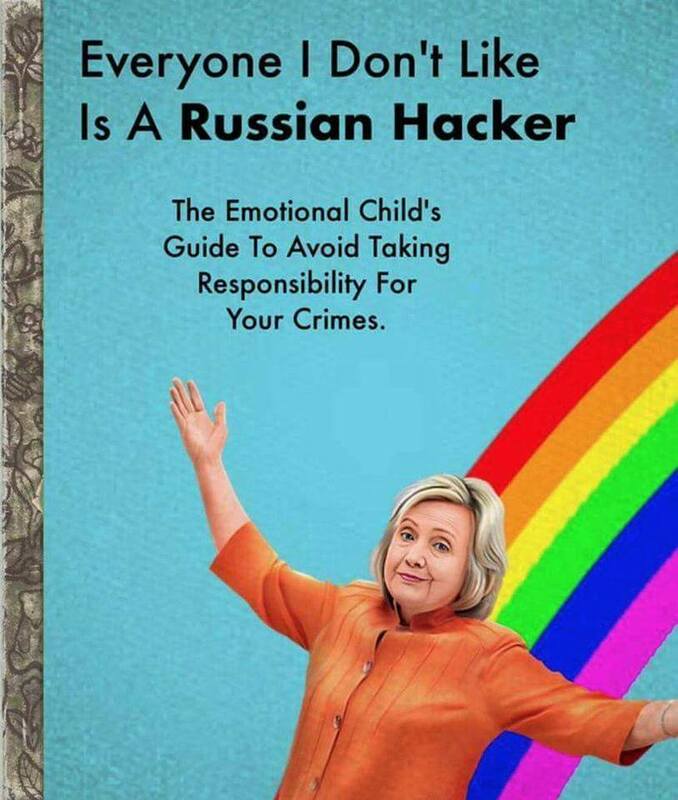 Furthermore, the claims that 17 U.S. intelligence agencies confirmed that Russia was behind hacking the DNC, which was forwarded by Hillary Clinton during a presidential debate was unfounded and untrue. This claim was parroted across the mainstream media echo chamber as if it were fact. However, in reality, it was simply more anti-Russia propaganda as a means of tainting Trump. Trump’s anticipated deescalation of tension with Russia is a red line, which essentially violates what has been a pillar of U.S. foreign policy that has been ingrained deeply in the American subconscious for the last 65+ years. The deep state bureaucracy is now attempting a last ditch effort to frame Russia in such a way in the American psyche, as to try and make it virtually impossible for Trump to work constructively with Vladimir Putin. Sensing the attempts to paint Trump into a corner with this latest bit of ‘Fake News’ from The Washington Post, the Trump transition team released a statement calling out the forces at work behind this latest attempt to stifle the planned de-escalation of U.S. hybrid warfare against Russia. “These are the same people that said Saddam Hussein had weapons of mass destruction,” a statement from the Trump transition team read. This newest piece of neo-Red Scare propaganda, being pushed by the Post, comes on the heels of them just last week publishing a journalistically inept piece of likely state-produced propaganda. Last week, the Washington Post published a scurrilous piece by a heretofore obscure technology reporter named Craig Timberg, alleging without the faintest evidence that Russian intelligence was using more than 200 independent news sites to pump out pro-Putin and anti-Clinton propaganda during the election campaign. ProporNot’s catalogue of supposed Putin-controlled outlets reeks of the McCarthyite smears of the Red Scare era. The blacklist includes some of the most esteemed alternative news sites on the web, including Anti-war.com, Black Agenda Report, Truthdig, Naked Capitalism, Consortium News, Truthout, Lew Rockwell.com, Global Research, Unz.com, Zero Hedge and, yes, CounterPunch, among many others. I’ll have more on Timberg and ProporNot in my Friday column. In the meantime, here is a brief historical note on how at the height of the Cold War the CIA developed it’s very own stable of writers, editors and publishers (swelling to as many as 3000 individuals) that it paid to scribble Agency propaganda under a program called Operation Mockingbird. The disinformation network was supervised by the late Philip Graham, former publisher of Timberg’s very own paper, the Washington Post. Craig Timberg’s story, which was about as substantial as anonymous slurs scrawled on a bathroom stall, lends rise to the suspicion that the Post may still be a player in the same old game it perfected in the 1950s and continued across the decades culminating in its 1996 hatchet-job on my old friend Gary Webb and his immaculate reporting on drug-running by the CIA-backed contras in the 1980s. The Post’s disgusting assault on Webb was spearheaded, in part, by the paper’s intelligence reporter Walter Pincus, himself an old CIA hand. PropOrNot, the shadowy group of so-called “experts,” who refused to be identified in the Post article, has come under fire since the publication and seems to be exactly what it attempts to supposedly call out – propaganda. The Washington Post, after putting this type of blatant state-sponsored propaganda into the U.S. mainstream news cycle, which was parroted across essentially all of U.S. media, then quietly attempted to save face by adding a disclaimer to the PropOrNot propaganda piece. The thing about propaganda is that it is insidious and once it is put into the public sphere and parroted by other outlets, the job has been done as the insinuation has been planted into the public’s consciousness. This latest piece by The Washington Post, about a secret CIA assessment, is simply more of the same from the standard bearer of state-sponsored propaganda. And that is what this is all really about. The people pulling the strings from behind the scenes are upset that they were unable to control the narrative in the latest election, largely due to the coverage of WikiLeaks and the exposure of U.S. efforts to propagandize the American public into supporting an increased and active effort to utilize U.S. assets in the overthrow of the government of Bashar al-Assad in Syria — a Russian client state. What you see taking place regarding the ‘Evil Russia’ narrative being perpetuated by the Post is simply the deep state trying to reassert its dominance over U.S. foreign policy for fear that Trump will destroy the sacred cash cow of the military industrial complex – public fear of Russia. 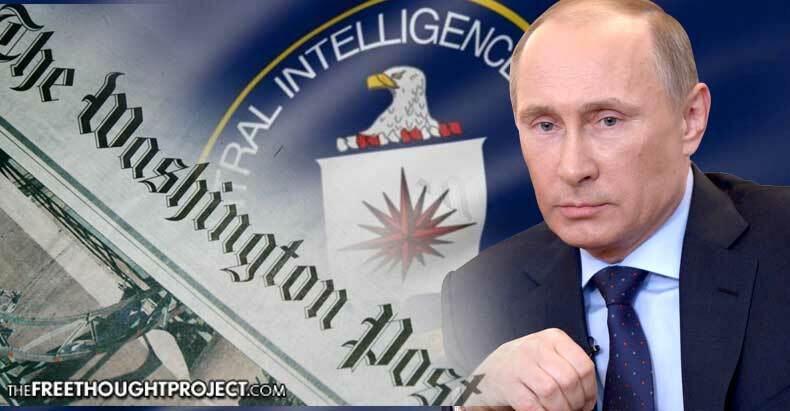 Make no mistake that there is an information war taking place, and outlets like The Washington Post, as evidenced by the publishing of the PropOrNot article and this latest CIA propaganda piece are operating not as journalistic outlets, but as propagandists for deep state interests. Don’t let the corporate media trick you into believing their lies. Below is an example of exactly what they are currently engaging in with this latest “secret CIA assessment” — propaganda.